Designed to service the pavement maintenance needs of today’s major airports, the Western Hydroblasting SH 8000 is ideally suited for all airport marking removal, pavement cleaning and rubber removal projects. Applications both on the airfield and groundside are numerous. 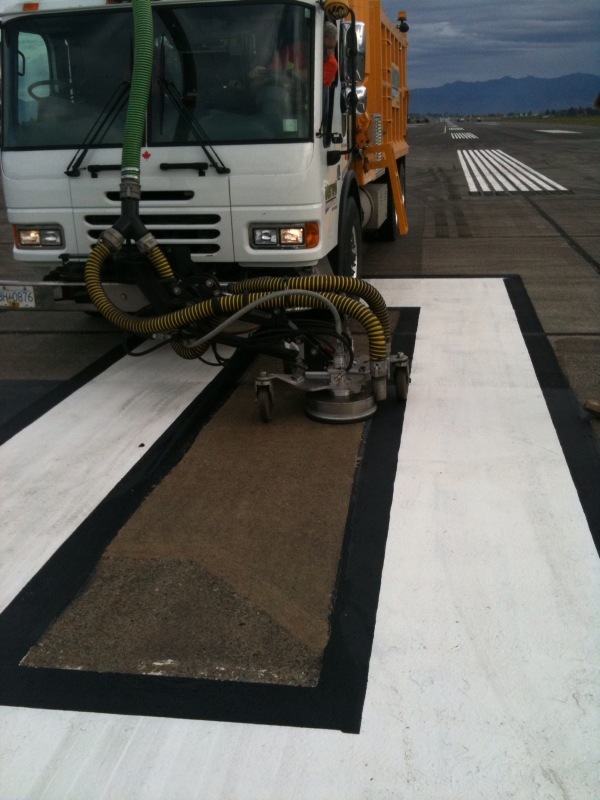 Airside, our UHP hydroblasting equipment with vacuum recovery is ideal for the removal and cleaning of all runway, taxiway, apron and gate markings. 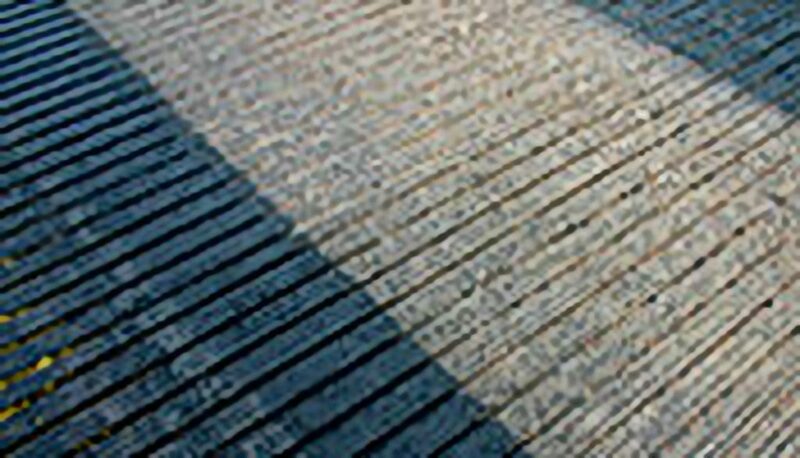 Eradicating existing markings is achieved with the least amount of impact to the surface while cleaning markings to increase reflectivity will extend their useful life and reduce the need for unnecessary and potentially excessive applications of new paint. Furthermore, hydroblasting old markings and other surfaces prior to the application of new paint will ensure the quality and durability of your new marking projects, in the long run saving the airport time and money. With a single truck and operator, the SH 8000 offers the highest rubber removal rates in the industry without causing damage to either grooved or smooth runway surfaces. 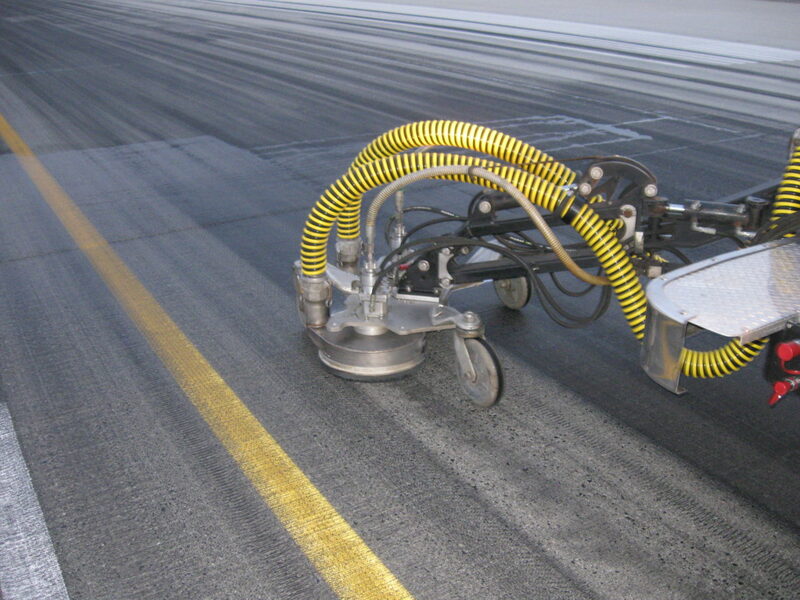 The traditional method of using chemicals and detergents to remove rubber often results in the contamination of the adjoining infield as large amounts of the chemical mix and rubber debris are swept and washed off of the runway during the cleaning process. 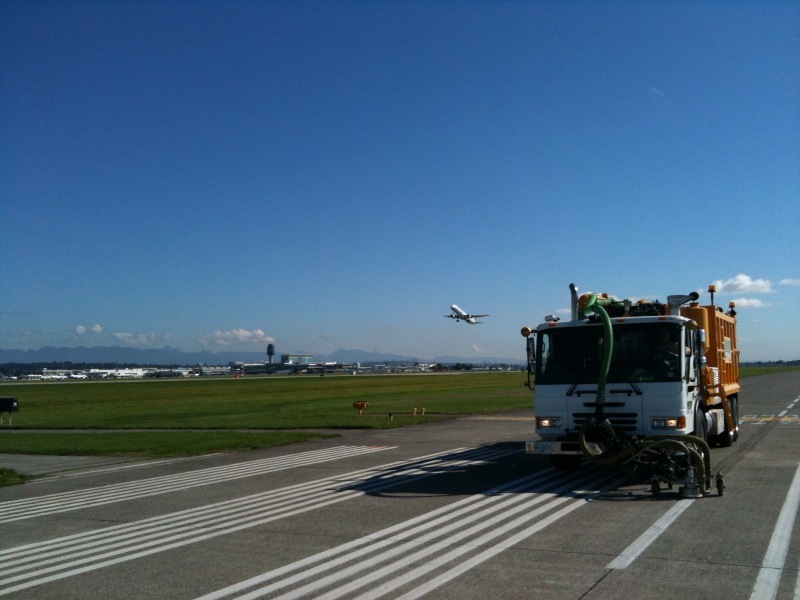 Because our integrated truck-mounted equipment uses only clean water and has simultaneous vacuum recovery, there is no negative environmental impact to areas adjacent to the runway. No run-off, no rinsing and no sweeper or vacuum trucks are required. An important and significant safety advantage is that the runway can be cleared immediately and is available for emergency landings throughout the removal or cleaning process. Our industry proven UHP hydroblasting equipment completes airport removal projects quickly and economically, using fewer employees and without unnecessary support equipment. The results are reduced costs for your airport and superior protection of the airfield environment.